Dr. Thomas Schmidt’s interest in anatomy and natural health developed at an early age. After receiving chiropractic adjustments for sciatica, his grandfather was able to return to a healthy farming lifestyle. Before deciding on the chiropractic profession, Dr. Schmidt’s goal was to become a surgeon. But after seeing his grandfather return to health naturally, without the need of injections or surgery, he decided to pursue the chiropractic profession. 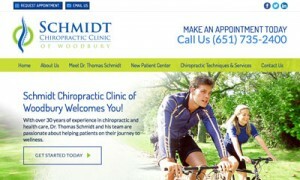 When launching his practice in 1984, Dr. Schmidt became the youngest chiropractor in the state of Minnesota. Serving thousands of patients in Woodbury, the St. Paul Suburbs, and western Wisconsin, Schmidt Chiropractic provides chiropractic techniques and services such as cold laser, massage therapy, and sports chiropractic. During a 45-minute phone interview, we learned about the natural, evidence-based philosophies that drive the Schmidt Chiropractic team. 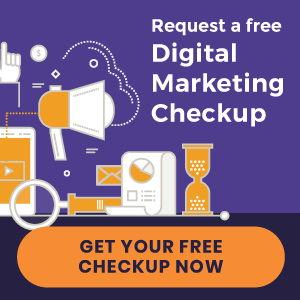 With the launch of their new practice website, along with our integrated online marketing efforts, we are excited to see many new patients to come for Dr. Schmidt’s practice.